The Jerk Circuit, a turn of the century rap group based in central Florida, consisted of artists Bleubird, Filkoe176, Sign One and DJ Spytek. 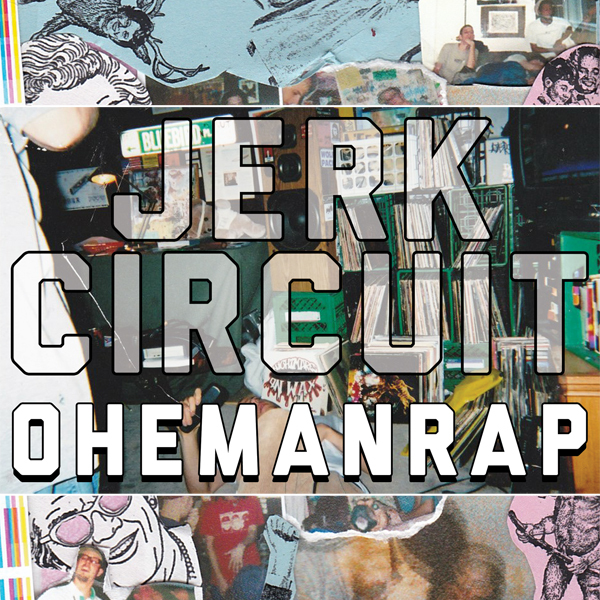 Jerk Circuit helped to pioneer a regressive sound based on sampling records, field recordings and live instrumentation. This record was recorded over the Winter and Spring of 2001 and for the briefest of intervals, the crew was the illest nerd rap group in the Southeast until disbanding in 2002. In fact, Filkoe is widely credited with coining the term “nerd rap”. Jerk Circuit was a staple in the early days of the “indie” rap scene in Orlando opening for acts like Sole, Sage Francis and Restiform Bodies. The lore of their wild live shows is still talked about in close rap circles today; with Sign at the helm of the MPC as well as rapping and Filkoe and Bird out front commanding a circus of characters and shenanigans.